From what I’ve glanced through on Goodreads, this is a book that people either completely loved or absolutely hated. I’m in the first camp, I think this book is fantastic. And no, it’s not because the author was one of the writers on two of my favorite shows, Mad Men and The Sopranos (though being a fangirl sho’ does help). I liked this book because it’s a pretty decent work of fiction. This is a short book (less than 150 pages), more novella-like than a novel. There is very little dialogue, the story is told through third person narration of one of four characters. I can see where this annoys people because it reads more like a storyboard summary than a fully fleshed out, traditional novel. Either way, the quirks in the style didn’t bother me. I really dug this story. Mark Breakstone lives the life that people dream about. He works in finance and lives in Manhattan in a spacious, expensive apartment. He marries Karen, a pretty social climber who shares his dreams of the good life. Shortly after their marriage, Karen becomes pregnant and gives birth to Heather, their beautiful and gifted daughter. 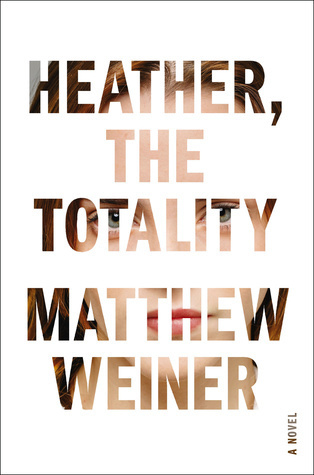 So beautiful is Heather that both of her parents become obsessed with her, seeking to one-up one other in competition for her affection. Meanwhile, the reader is introduced to Bobby Klasky. He is not beautiful or gifted or wealthy. He grows up in New Jersey, the son of a heroin addicted mother. He drops out of school and dabbles in petty crimes until he eventually goes to prison for assaulting a woman in his neighborhood. All the while we get a window into Bobby’s thoughts, which become more and more disturbing and violent as the narrative progresses. It becomes evident early on that the paths of Bobby and the Breakstone family will eventually meet, and that the result will be a violent one. There is a sense of dread that starts in the first quarter of the book that’s played up skillfully until these four characters collide at the end. It’s good that this is a short novel so you don’t have to wait that long to find out. My only complaint about this book is that the ending was a little too clean and convenient for my tastes. As I said before, there is a tension that’s played up, only to get to the end and it’s like: hmmm, ok. That was easy. None of the scenarios that I envisioned while reading this came even remotely close to what actually happened. A minor complaint. But still, ugh. Four stars. Read this in one sitting, like you’re supposed to.